Throughout history the rose has been a symbol of love and beauty. From the ancient greeks and romans, it was tied to the goddess of love: Aphrodite and Venus. By the time Shakespeare rolled around, it had already become a poetic standard that he and later Gertrude Stein both famously used in their works. Today the rose still reigns as the ultimate symbol of passionate affection. 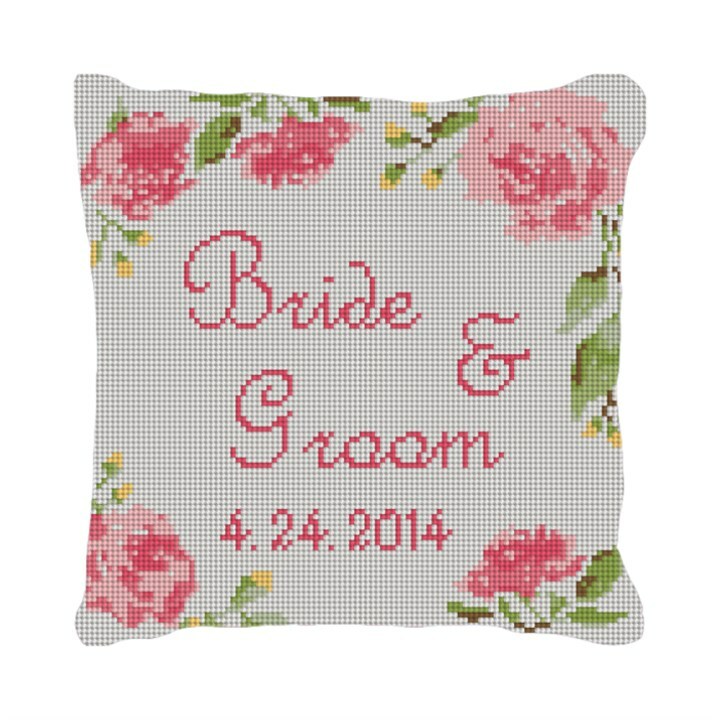 Our Wedding Rose Ring Bearer needlepoint pillow canvas will stand out at any wedding and become a fabulous keepsake for the bride and groom of their special day. Personalize with the bride and grooms names, wedding date, and even customize the rose color to match the wedding flowers.